Turkish and Japanese interior architecture students designed student housing at Izmir's 8.500-year-old prehistoric settlement: Yeşilova Tumulus. 9 Japanese and 11 Turkish students conducted on-site examination in Izmir and displayed their joint projects as part of the collaboration between Department of Interior Architecture and Environmental Design, Izmir University of Economics (IUE) and Chiba University Department of Architecture. In the past 6 years, 48 students learned about the cultures of both countries in Turkey and Japan, and developed joint projects together. This year, while 8 prospective interior architects from IUE got a chance to perform internship in Japan during summer semester, 9 Japanese prospective architects, under the guidance of Prof. Kaname Yanagisawa, Head of Department of Architecture, Chiba University, got a chance to get to know Izmir and its surroundings up close. Assoc. Prof. Deniz Hasırcı, Faculty Member from IUE Department of Interior Architecture and Environmental Design, stated that they worked together with Prof. Kaname Yanagisawa, Head of Department of Architecture, Chiba University, on various projects since 2004. Assoc. 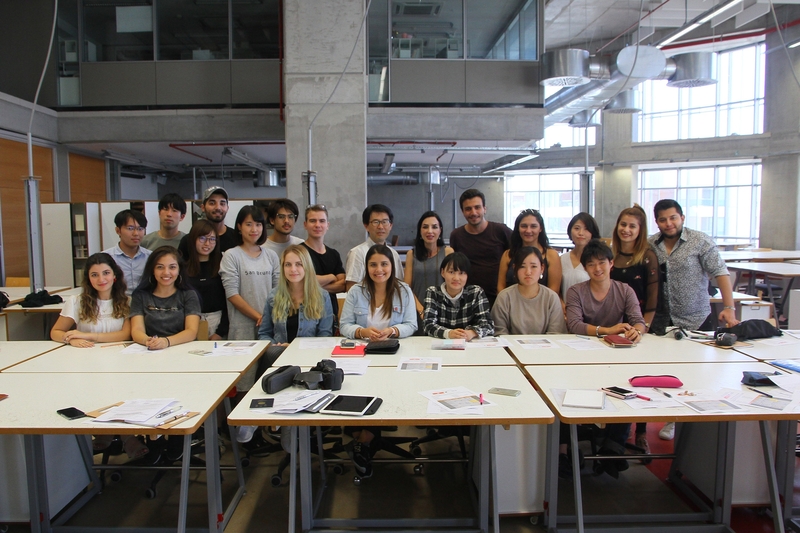 Prof. Hasırcı reported that Japanese students came to Izmir as part of the Exchange/Communication Program signed between IUE Faculty of Fine Arts and Design, and Chiba University in 2013. Assoc. Prof. Hasırcı said, “Japanese and Turkish students conducted studies on Yeşilova Tumulus in groups. They created housing designs for students taking part in excavations. Our students conducted on-site examinations at Yeşilova Cumulus and the Ancient City of Ephesus. They toured around the Historical Kemeraltı Bazaar. In addition to vocational training, they got a chance to learn about the traditional architecture and today’s architecture thanks to the technical trips we conducted”. Assoc. Prof. Hasırcı stated that the students also attended art events, and attended meetings with Izmir Branch of TMMOB Chamber of Interior Architects, Prof. Dr. Ender Yazgan Bulgun, Dean of IUE Faculty of Fine Arts and Design, and Asst. Prof. Markus Wilsing, IUE Head of Department of Interior Architecture and Environmental Design.